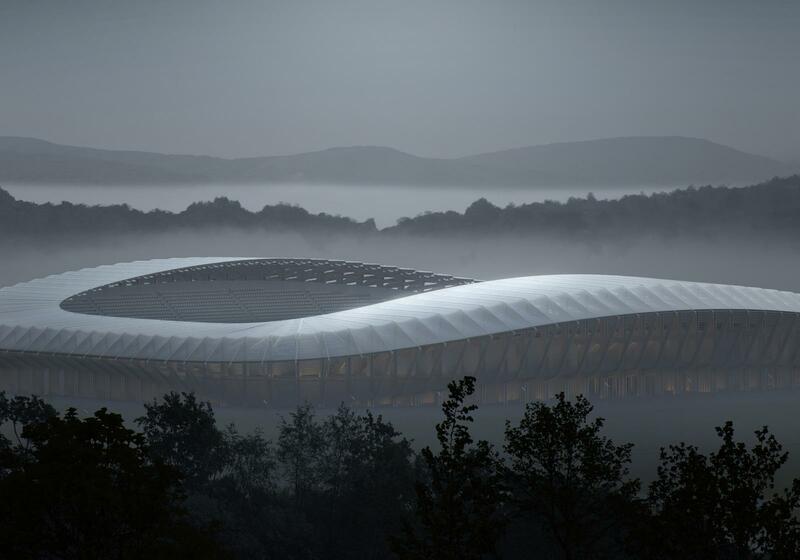 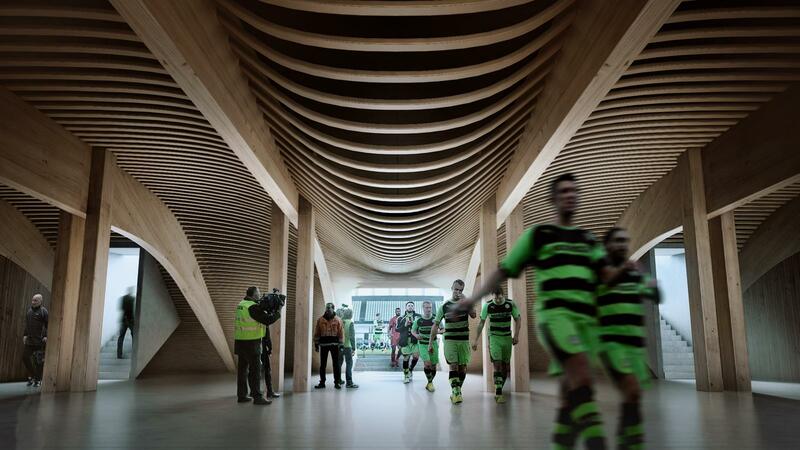 The vision by Zaha Hadid Architects envisages a stadium with continuous ring of seating under a dynamic wooden roof. 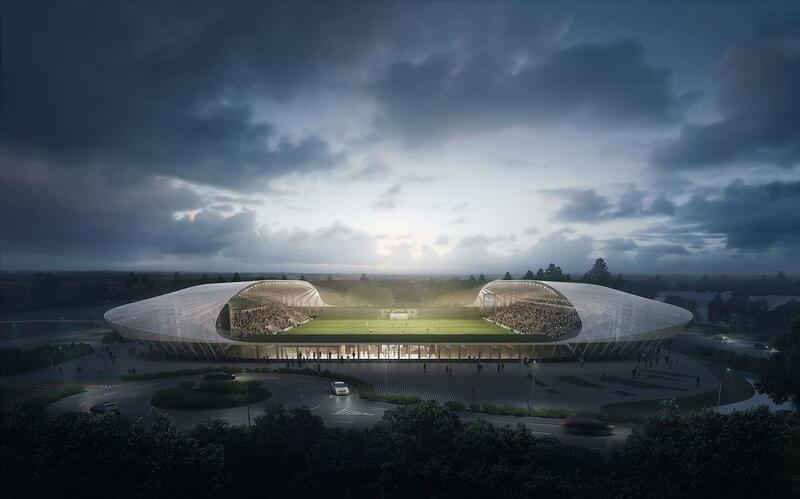 Reaching beyond the stands on both ends, the roof covers majority of the spectators. 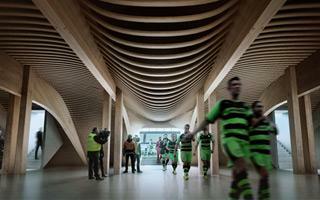 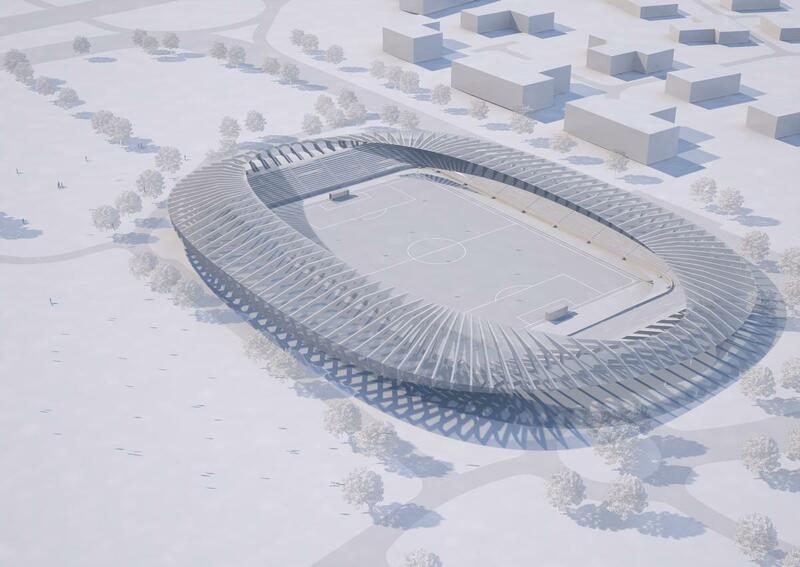 This concept is one of two finalists of the international design competition by Forest Green Rovers FC. 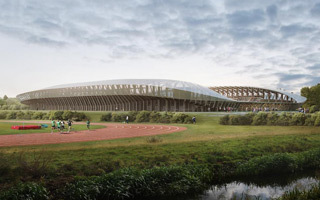 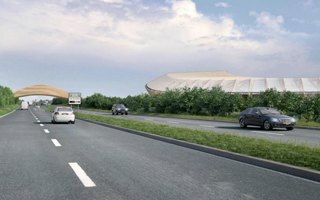 The aim is to compose a vast sports-leisure complex at M5 motorway’s Junction 13. 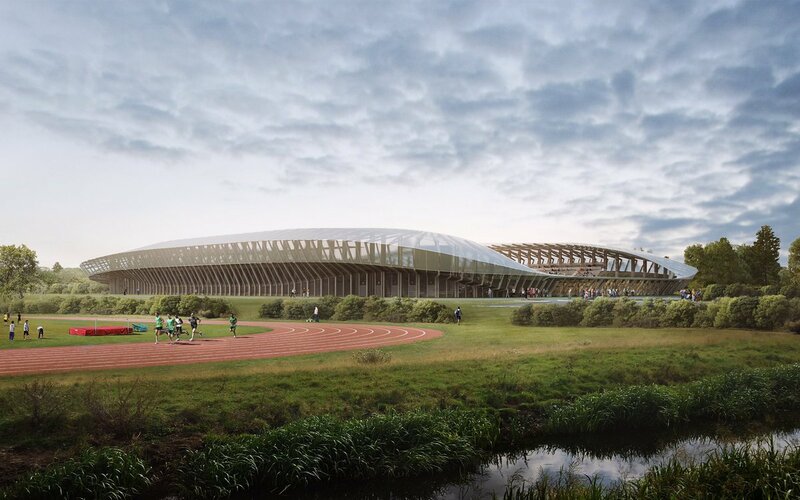 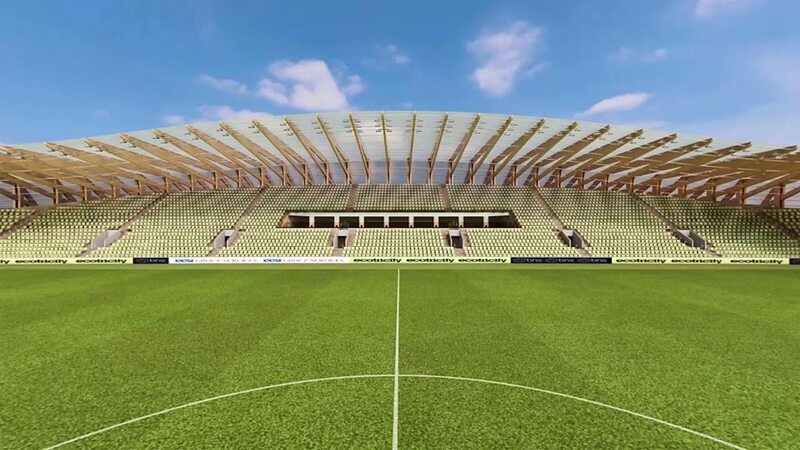 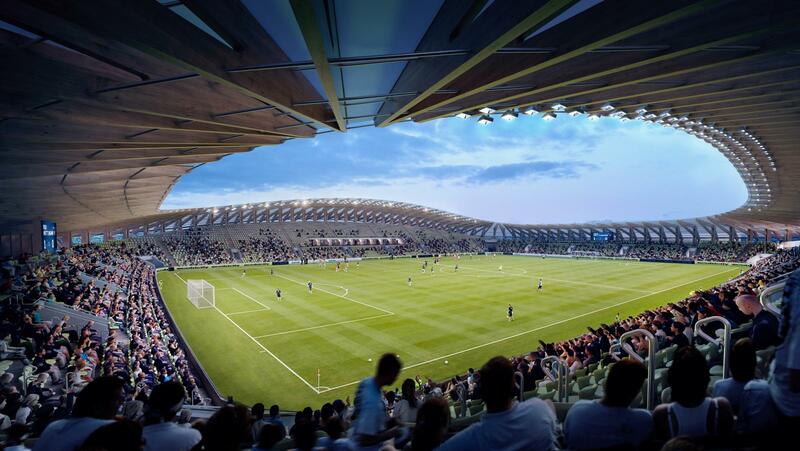 The complex will cover 100 acres (40 hectares) and apart from the main stadium should provide 5 training fields (3 full-sized, 1 covered and 1 with running track). 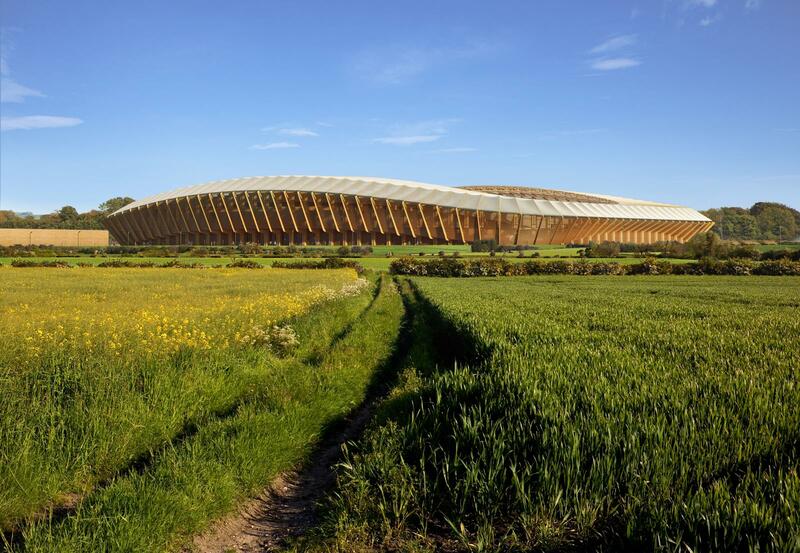 The location is some 6 miles (9km) away from Forest Green Rovers’ current stadium, The New Lawn. 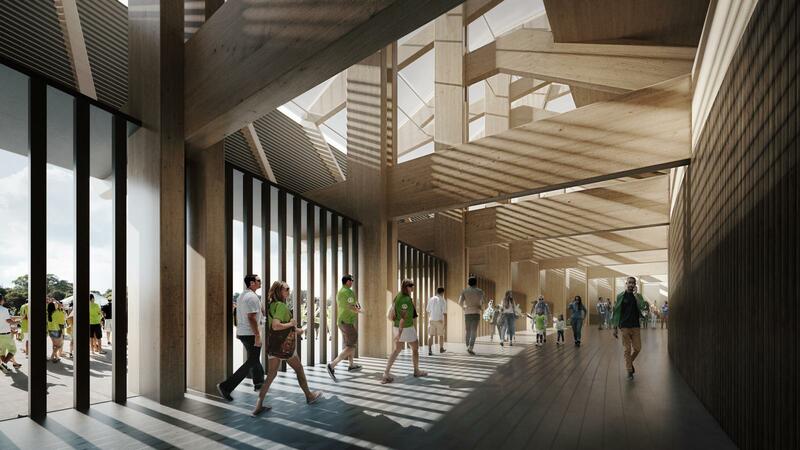 Main emphasis was put on ecology and sustainability, thus the large number of entries (50), of which 9 were shortlisted and 2 reached the final.